Are you looking for a way to boost your energy and focus, lose weight and improve your health without enduring a fad diet? If so you will love Matcha Green Tea Powder! Matcha is an unfermented version of green tea, but rather than leaves it has been ground into a very fine powder. Organic Matcha green tea can be added to hot water for a soothing mug of hot tea and added to lattes, smoothies and even hot cocoa. I have been a coffee drinker (and still am) so the taste of matcha green tea is quite too strong and bitter for me. However, there are still ways to acquire all the benefits of green tea and at the same time enjoy it. What better way to start your day that with a dose of energy-boosting green tea? Here are my favorite green tea powder recipes that will surely add some excitement to your day. zest, oil, brown sugar and salt until combined. 1. Preheat skillet over medium heat and generously apply cooking spray. 2. Mix flour, baking powder, salt, 1 tbsp. matcha and sugar in a mixing bowl. 3. Gradually stir in egg and milk and beat until you have a smooth batter. electric mixer until peaks for. 6. Place small amount of matcha butter over pancakes. Note: You can experiment and add any fruit that you like. 2. Run on high speed until smooth. Pulse to get rid of unwanted chunks. 3. Pour into glass and enjoy. wow, thanx for sharing this. I'm so amazed of the health benefits offered by matcha green tea powder. Where can I get this? Thank you for sharing! I've never heard of Matcha Green Tea Powder before but I'm interested in this. I wonder if this is available in the supermarkets? Actually, I am looking for a recipe that have a GREEN TEA ingredients. I am on a diet because of health reason and I need this kind of a dish. 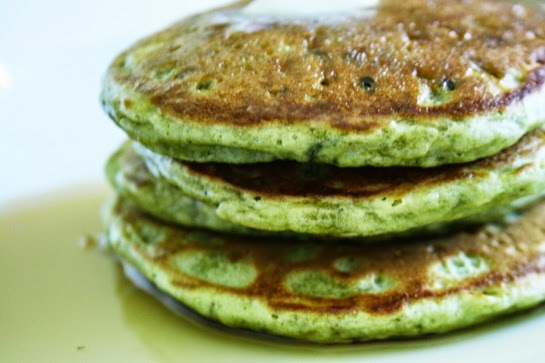 I might try first the Matcha Morning Pancakes. I'm going to try the Matcha smoothie! I have everything except the matcha powder which I need to include in my next grocery shopping. I try to have a smoothie for breakfast every other day so I'm excited to find out how this tastes like. I've tried matcha green tea but I find that there are some that I like and others that I don't. Sort of like a hit and miss when I try matcha green tea drinks. I still try them out once in a while, because I know of its health benefits. Thanks for sharing these recipes. I might just try them one day. Very good and healthy recipes for health conscious people. And, there are recipes to be followed. I love tea and the detox itself to cleanse all the toxic in our body. Looks like the mancha pancakes are yummy isn't ? A lot of folks are not willing to veer away from the coffee, but once they find out the Matcha’s benefits, they’ll surely think twice about it. Thanks for the recipe! It's to see the benefits of green tea in regular morning recipes. It's a lot healthier than regular breakfast. Thanks for sharing this healthful info. Me, I use to drink banaba, sambong and even ampalaya tea. I agree! Matcha is great, why don't you try the Matcha Green tea latte of CBTL! It's the best I've had! that's a lot of matcha recipes! i'm a coffee person esp in the morning and sometimes i drink warm teas too, but i never liked how matcha tastes in lattes! maybe i'll try it warm! thanks for sharing! Yes, yes, yes. My wife who loves green tea will definitely love preparing these foodies. Thanks for sharing. I tried drinking green tea capsules before to lose weight. 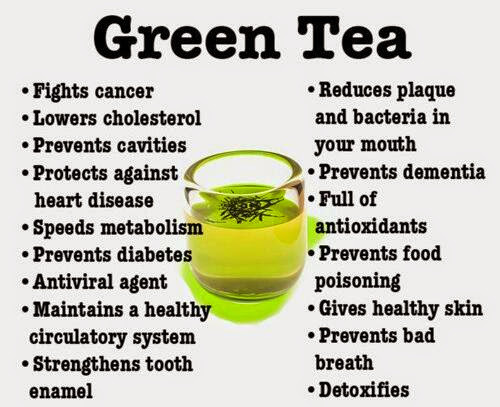 Thanks for sharing other ways to use green tea. I like the taste of green drinks, if you have ever tried a shot wheat grass juice, you know exactly what I’m talking about! On the other hand, there are few people like me, who like the taste of Green supplements and drinks.